This river runs through the centre of this western Canadian city and that’s where I made this exposure in the ‘blue hour’ of pre-sunrise light, standing on a bridge while traffic whizzed by. The lights on the opposite shore add a nice touch, don’t you think? Nikon D90, tripod, polarizing filter. Click on the picture for a larger view. Want to buy this picture? Email me and I’ll make it happen! (fdking@hotmail.com). 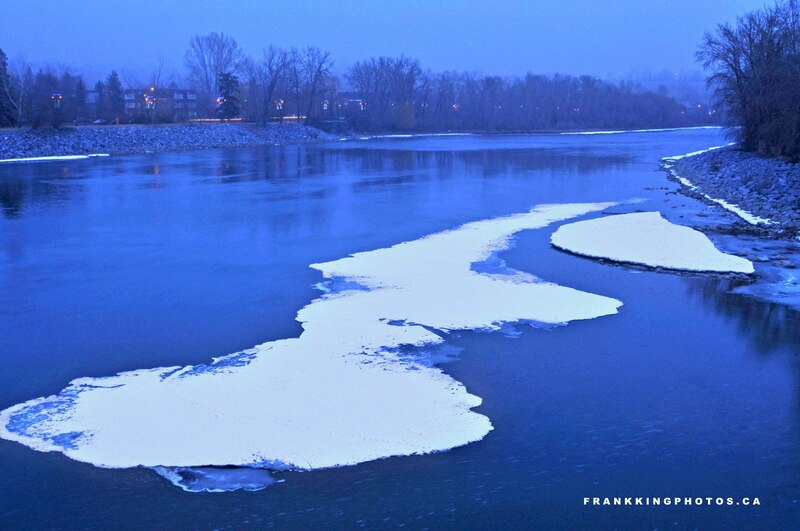 Beautiful blue hour shot, Frank. I always find that time of the morning magical!! Well done!! Beautiful image, Frank. I’ve heard of the blue hour before but have never experienced this light for myself. Thank you. Enter your email address to follow Frank King Photos and receive notifications of new posts by email. More of my pictures at 500px!